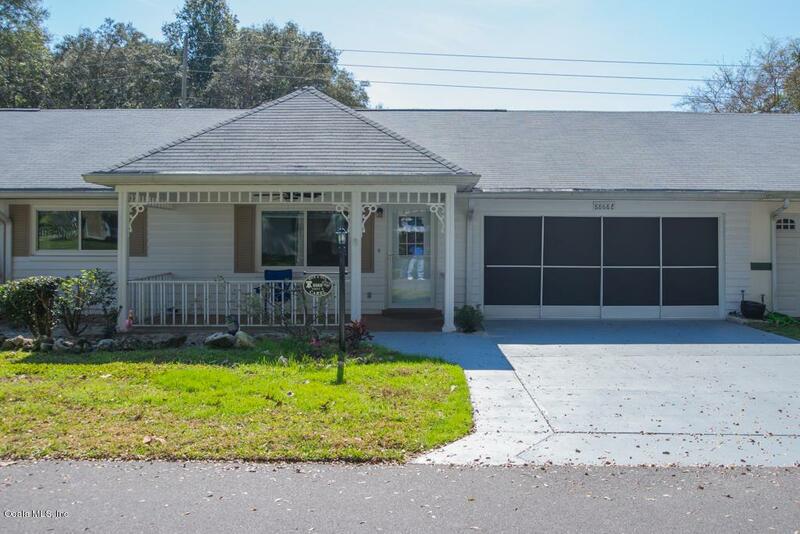 Move in ready, 2 bed, 2 bath, 2 car garage with a family area and enclosed Florida room Montgomery model, located in Americana Village. 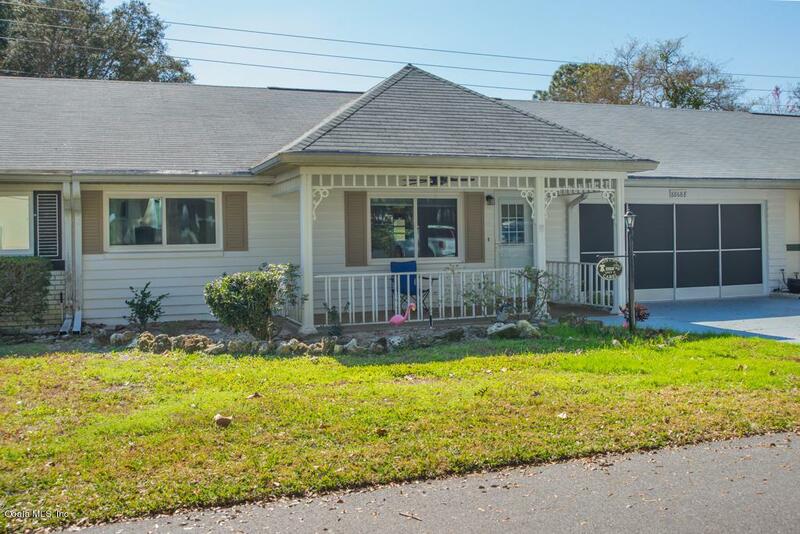 The home features newer windows in 2017, newer roof in 2015, newer doors in 2018, refrigerator, washer and dryer in 2017, solar tube in guest bathroom and the a/c was relocated and serviced in 2018. There are more kitchen cabinets in this home than the Montgomery model usually has. The open kitchen leads into the family area and the Florida room is under air. There are also lots of cabinets in the two car garage, and a mop sink and attic fan. 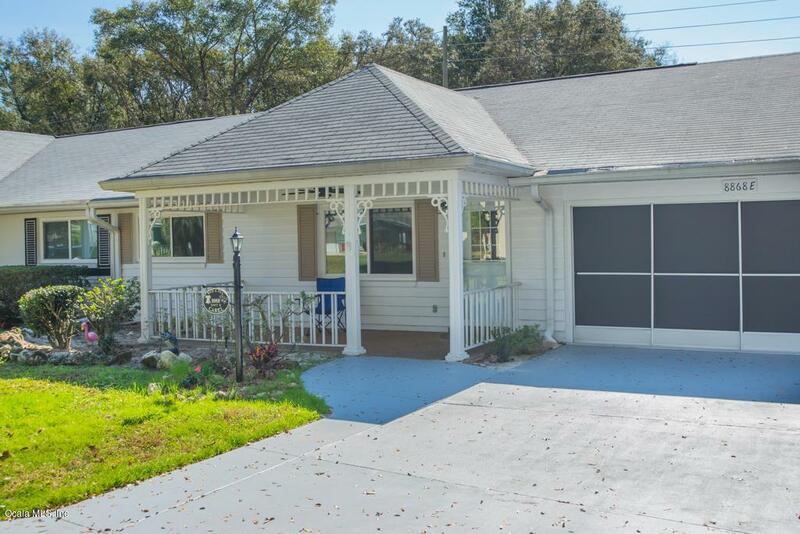 Located in Ocala's premier, gated, 55+ community, loaded with amenities, including golf cart access to two shopping centers. 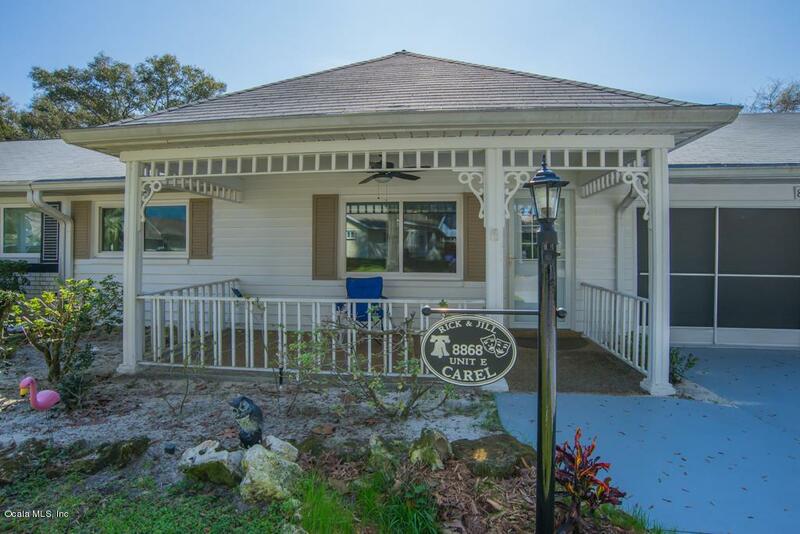 Listing provided courtesy of J. Carlos Acosta of On Top Of The World R E Of Marion, Llc.